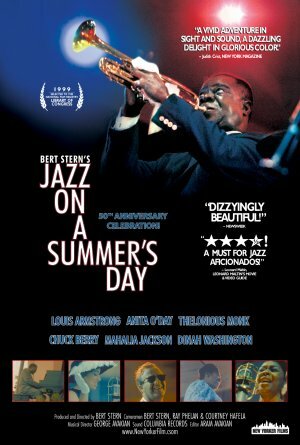 This week I wanted to go back to some of my favorite jazz documentaries, and share the lessons I've learned from each of them. Jazz on a Summer's Day features clips from the 1958 Newport Jazz Festival. Sprinkled among clips of jazz greats such as Thelonious Monk, Gerry Mulligan, Louis Armstrong is footage of the Newport water, boats and scenery. The movie showcases the sunny, leisurely, fun and social culture of music; and it's wonderful to know the festival is still going strong after all these years! I saw this film at the 2015 Detroit Jazz Festival. Following the screening, filmmaker Adam Kahan, wife Dorthaan Kirk, musician Steve Turre and poet Betty Neals participated in a Q&A. What was most interesting to learn about Kirk was that everything he did was based on his dreams - from playing three saxophones at once to changing his name, his dreams guided him through life. I also saw this film at the 2015 Detroit Jazz Festival. Directed by Reto Caduff, the film explored the legacy and influence of the bass player, bandleader and composer whose spiritual beliefs about music bringing socio-political changes uplifted his work with his Liberation Jazz Orchestra, as well as his bands with Ornette Coleman and Keith Jarrett. Several members of the Liberation Jazz Orchestra were present to talk about Haden, including Carla Bley, Steve Swallow, Joe Lovano, Matt Wilson and Joe Daley as well as Haden's wife, Ruth Cameron. What I didn't know about Haden was that he started out playing country and bluegrass music in the rural country. Produced with the help of John Coltane's widow, Alice Coltrane, The World According to John Coltrane focuses on the middle to latter part of the saxophonist's life. Coltrane went through several phases in his life, and became one of the strongest voices in jazz with such albums as Giant Steps, Blue Train, and A Love Supreme. Coltrane brought elements of Eastern music and spirituality into his music, with such songs as "My Favorite Things." Several musicians featured in interviews were Wayne Shorter, Rashied Ali, and Tommy Flanagan. Jazz was a PBS documentary mini-series directed by filmmaker Ken Burns. The series emphasizes the roots of jazz and its connection to American history. 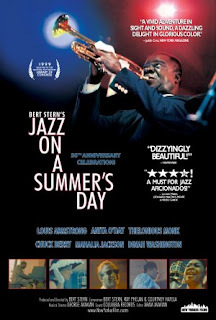 The documentary focuses on many major jazz musicians including Louis Armstrong, Duke Ellington, Count Basie, Benny Goodman, Billie Holiday, and more. 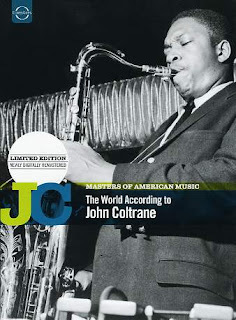 The series is a great way to become acquainted with the begginings of jazz, and learn some of jazz's key personalities, songs, geography and facts. Documentaries are a perfect way to learn about history, as well as become acquainted with numerous jazz musicians. From watching Jazz on a Summer's Day, for instance, you can learn about numerous musical innovators while watching them perform.